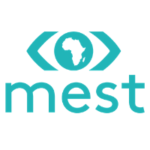 Think you’re a perfect fit for MEST or know someone who is? Start the application process HERE or contact recruitment@meltwater.org. Please note that the application deadline is March 10th, 2017 for South Africa and May 10th, 2017 for Ghana, Nigeria, Kenya and Ivory Coast. Hi, i’m from Niger can i apply?